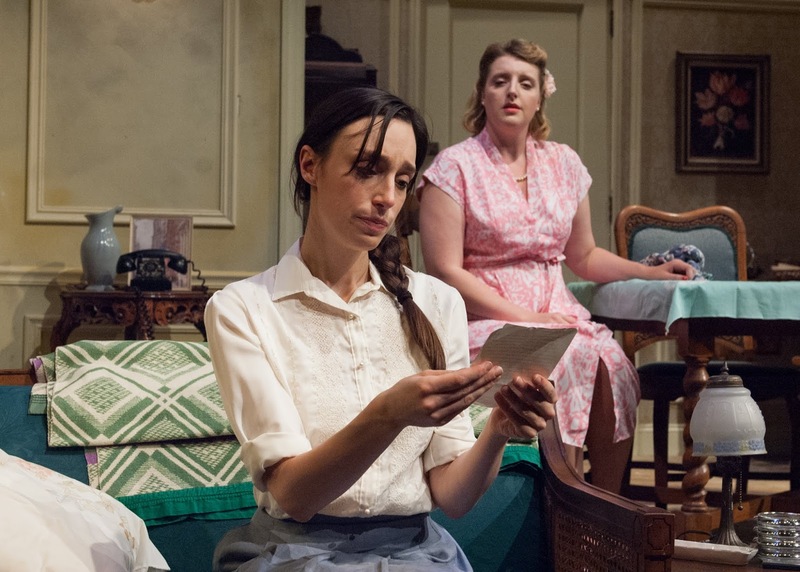 Lusia (Emily Berman, left) and Rose (Bri Sudia) are two sisters trying to reconnect after years of separation brought on by the rise of the Nazis. Here at ChiIL Live Shows, we're looking forward to Timeline's season opener and I'll be out for the press opening. Check back soon for my full review. 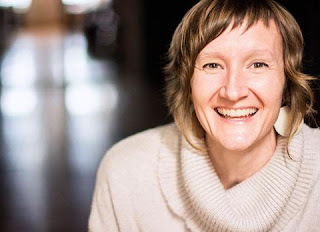 I've enjoyed Vanessa Stalling's directing all over town, particularly at House Theatre and The Goodman, and I'm eager to see her Timeline directing debut. Timeline has long been a favorite of ours for thought provoking choices and stellar production values. We're also huge fans of their lobby installation tie-ins with each show. I can't wait to see what they have in store for us this season. 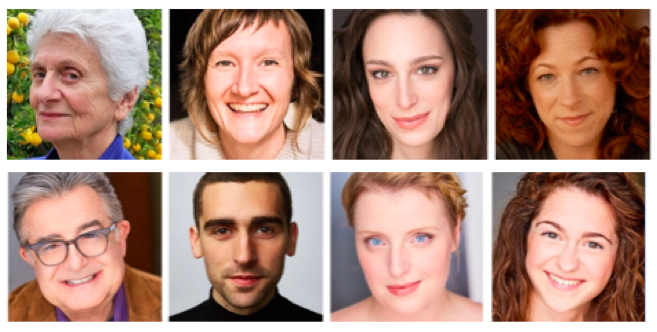 (Top, from left) Playwright Barbara Lebow, director Vanessa Stalling, and cast members Emily Berman, Carin Schapiro Silkaitis (bottom, from left) Charles Stransky, Alex Stein, Bri Sudia, and Sarah Wisterman. TimeLine Theatre Company announces the cast and creative team for the launch of its 22nd season—a revival of A Shayna Maidel, Barbara Lebow’s moving family drama about two sisters reunited after years of separation caused by the rise of the Nazis. Director Vanessa Stalling, who recently helmed the Goodman Theatre’s critically acclaimed production of Sarah DeLappe’s The Wolves, makes her TimeLine debut with A Shayna Maidel. Previews begin August 22. Press Night is Wednesday, August 29 at 7:30 p.m. Opening Night is August 30 and performances run through November 4 at TimeLine Theatre, 615 W. Wellington Ave., Chicago. For tickets and information, visit timelinetheatre.com or call the TimeLine Box Office at (773) 281-8463 x6. A powerful and poignant drama, A Shayna Maidel begins with the story of a daughter and her father, Rose and Mordechai Weiss, who escaped Poland shortly before World War II and have adapted to life as new Americans in New York City. In their escape, they were forced to leave behind Rose's sister Lusia and her mother. When Rose and Lusia are reunited, Rose struggles to engage with an older sister who, having survived the horrors of war overseas, now seems a stranger. And Lusia—haunted by vivid memories of her past—is uncertain about connecting with a family she’s never known. Stalling’s revival of A Shayna Maidel for TimeLine will feature Emily Berman (she/her) as Lusia and Bri Sudia (she/her) as Rose. The cast also includes Carin Schapiro Silkaitis as Mama (she/her), Alex Stein as Duvid (he/him), Charles Stransky as Mordechai (he/him) and Sarah Wisterman as Hanna (she/her). Note: Carin Schapiro Silkaitis steps in for Hanna Dworkin, originally announced as Mama. The production team includes TimeLine Associate Artist Collette Pollard (Scenic Designer, she/her); Samantha C. Jones (Costume Designer, she/her); Rachel K. Levy (Lighting Designer, she/her); Jeffrey Levin (Sound Designer and Composer, he/him); Elise Kauzlaric (Dialect Designer, she/her); and Deborah Blumenthal (Dramaturg, she/her). Written in 1984, A Shayna Maidel was widely produced by America's leading regional theaters and became a long-running success Off Broadway from 1987 to 1989. The New York Times hailed A Shayna Maidel as “a tribute to the sustaining power of family,” The Hartford Journal Inquirer called the play “an emotional powerhouse of almost overwhelming proportions,” and the Atlanta Constitution raved that “anyone who sees it will not soon forget it.” The Chicago Reader, in a 2002 review, wrote that it presents “history as intimate as a snapshot,” underscoring the play’s fit with TimeLine’s history-based mission. Fast forward to this April, when The New York Times reported that 41 percent of Americans, as well as 66 percent of Millennials, “cannot say what Auschwitz was,” and lack “basic knowledge” about the Holocaust. Vanessa Stalling (Director) most recently directed Joshua, by Ali Viterbi, for the Wagner New Play Festival. Prior to that, she directed Sarah DeLappe’s The Wolves at The Goodman, which earned a four-star review from Chicago Tribune critic Chris Jones, who called her “a specialist in immersive productions and a true artist.” Other productions include Lauren Yee's Hookman at Steep Theatre, and United Flight 232, a production she adapted from the book Flight 232 by Laurence Gonzales, for The House Theatre of Chicago, which received Jeff Awards for Outstanding Production – Midsize Theatre and Ensemble. 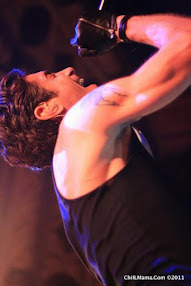 Stalling was a primary artist at Redmoon Theater, serving as a director, performer, and Associate Artistic Director. As an artist at Redmoon, she directed several productions, including a remount of The Cabinet, which toured Brazil as part of the FILO Festival; Last of My Species; Winter Pageant; Princess Club; Twilight Orchard; and roaming performances for President Obama's Halloween celebrations at The White House. She has held teaching positions at Roosevelt University, Columbia College, University of Chicago, and is an assistant professor of directing at the University of California San Diego's Department of Theatre & Dance. She was the 2016 Michael Maggio Fellow at the Goodman Theatre and a Newcity 2018 Player. 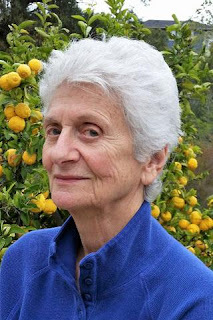 Barbara Lebow (Playwright) is a California resident who grew up in New York, moved to Atlanta in the 1960s and joined The Academy Theatre's developmental workshop, eventually becoming playwright in residence. Among her plays with first productions there are A Shayna Maidel (which ran Off Broadway 1987-89 and continues to receive regional and international productions), The Left Hand Singing, The Keepers, Cyparis, Little Joe Monaghan, The Adventures of Homer McGundy Revised, Trains, and Tiny Tim is Dead. In addition to her own writing, Lebow facilitates play creation with disenfranchised segments of the population including homeless and addicted individuals, youth at risk, developmentally and physically disabled persons, and women in prison. In recent years, she has worked with residents of Los Prietos Boys Camp, supported by a grant from the Fund for Santa Barbara. She has received a Guggenheim Fellowship in Playwriting, a TCG/Pew Theatre Artists Residency, an NEA/TCG Residency, an Atlanta Mayor's Fellowship in the Arts, a Georgia Governor's Award in the Arts, and a Distinguished Service Award from the Santa Barbara County Probation Department. Other recent plays include The Phenom; Plumfield, Iraq; La Niñera: The Nursemaid; and Killing Spiders. Her newest play, The Hebbles, deals with the effects of a mass shooting on one small American family. 8 p.m.; Sunday, August 26 at 2 p.m.; and Tuesday August 28 at 7:30 p.m.
Press Night is Wednesday, August 29 at 7:30 p.m. Opening Night is Thursday, August 30 at 7:30 p.m.
— Post-Show Discussions: A brief, informal post-show discussion hosted by a TimeLine Company Member and featuring the production dramaturg and members of the cast on Wednesday, September 5; Thursday September 13; Sunday, September 16; Thursday, October 11; Sunday, October 14; and Wednesday, October 17. — Pre-Show Discussions: Starting one hour before these performances, a 30-minute introductory conversation hosted by a TimeLine Company Member and the production dramaturg on Sunday, September 30, and Wednesday, October 3. — Company Member Discussion: A post-show discussion with the collaborative team of artists who choose TimeLine’s programming and guide the company’s mission on Sunday, September 23. — Captioned Performance: An open-captioned performance with a text display of words and sounds heard during the performance on Saturday, September 29 at 4 p.m.
— Sunday Scholars Panel Discussion: A one-hour post-show discussion featuring experts on the themes and issues of the play on Sunday, October 7. The best way to secure seats to A Shayna Maidel is to purchase a 2018-19 TimeLine Theatre FlexPass Subscription, on sale now, offering four amazing shows, starting at only $88. Single tickets go on sale July 10, 2018. Preview tickets are $25. Single tickets to regular performances are $40 (Wednesday through Friday), $49 (Saturday evenings) and $54 (Saturday and Sunday matinees). Student discount is 35% off regular price with valid ID. TimeLine is also a member of TCG’s Blue Star Theatre Program and is offering $25 tickets to U.S. military personnel, veterans, first responders, and their spouses and family. To purchase a FlexPass, single tickets or for more information, visit timelinetheatre.com or call the Box Office at (773) 281-8463 x6. A Shayna Maidel will take place at TimeLine Theatre, 615 W. Wellington Ave., in Chicago’s Lakeview neighborhood, near the corner of Wellington and Broadway, inside the Wellington Avenue United Church of Christ building. TimeLine is served by multiple CTA trains and buses. TimeLine offers discounted parking at the Standard Parking garages at Broadway Center ($8 with validation; 2846 N. Broadway, at Surf) or the Century Mall ($9 with validation; 2836 N. Clark), with other paid parking options nearby, plus limited free and metered street parking. — Master Class, Terrence McNally’s acclaimed play about the formidable opera star Maria Callas, inspired by a series of classes she taught at Julliard in the 1970s, directed by TimeLine Associate Artistic Director Nick Bowling, music directed by Doug Peck, and starring TimeLine Company Member Janet Ulrich Brooks (The Audience), presented at Stage 773, October 19 – December 9, 2018. — The Chicago premiere of Cardboard Piano by Hansol Jung, a powerful story of faith, love, and the human capacity for forgiveness set amidst violent conflict in northern Uganda, directed by TimeLine Company Member Mechelle Moe, January 9 – March 17, 2019. — The Chicago premiere of Too Heavy for Your Pocket by Jiréh Breon Holder, a hopeful and moving story taking place at the height of the Civil Rights Movement that explores family, responsibility, and the personal sacrifices that enable progress, directed by TimeLine Company Member Ron OJ Parson, April 24 – June 29, 2019. Save on tickets to TimeLine’s 2018-19 Season with a FlexPass Subscription. Four tiers, priced from $88 to $204, are now on sale. 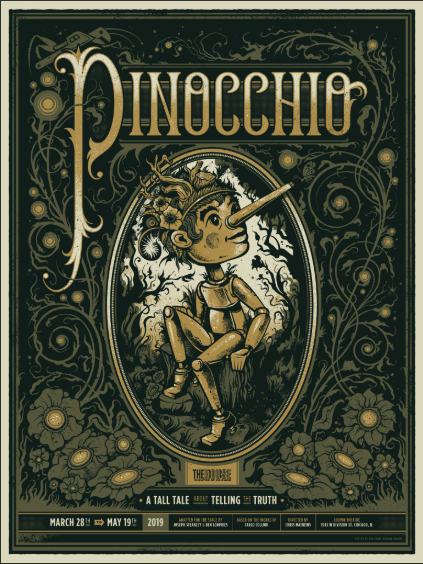 For more information and to purchase, call (773) 281-8463 x6 or visit timelinetheatre.com. In addition to its 2018-19 four-show subscription series, TimeLine Theatre is excited to be partnering with Firebrand Theatre—Chicago’s new musical theatre company committed to employing and empowering women—on Firebrand’s upcoming fall production of the Tony Award-nominated musical Caroline, or Change, featuring music by Jeanine Tesori (Fun Home, Violet), book and lyrics by Tony Kushner (Angels in America), and direction by Lili-Anne Brown. Rashada Dawan stars in the title role as Caroline. Riveting, moving and awe-inspiring, Caroline, or Change features music ranging from Motown to Klezmer, and storytelling from political to magical. 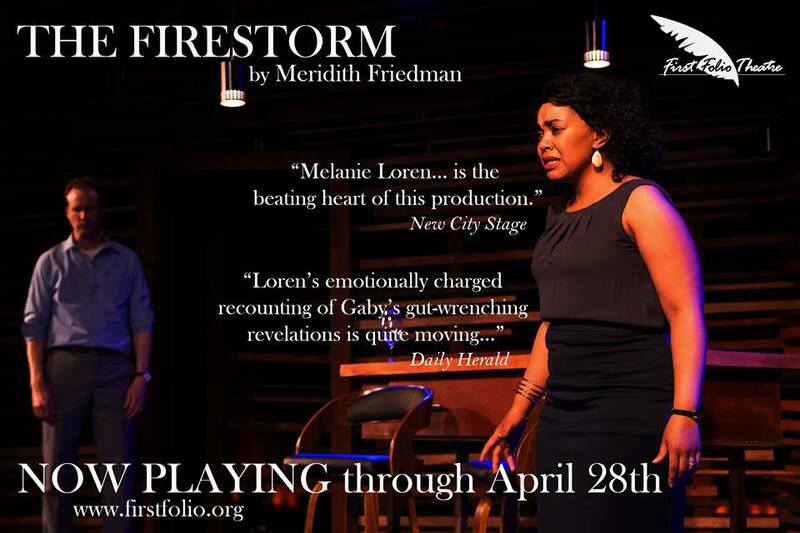 This production will be presented at Firebrand’s resident home, The Den Theatre, located at 1331 N. Milwaukee Ave. in Chicago’s Wicker Park neighborhood. PLEASE NOTE: Caroline, or Change is not included in TimeLine’s 2018-19 FlexPass Subscription, but the partnership will include exclusive ticket opportunities for TimeLine subscribers and patrons. TimeLine Theatre Company, recipient of the prestigious 2016 MacArthur Award for Creative and Effective Institutions, was founded in April 1997 with a mission to present stories inspired by history that connect with today's social and political issues. To date over 21 seasons, TimeLine has presented 75 productions, including 10 world premieres and 33 Chicago premieres, and launched the Living History Education Program, now in its 12th year of bringing the company's mission to life for students in Chicago Public Schools. Recipient of the Alford-Axelson Award for Nonprofit Managerial Excellence and the Richard Goodman Strategic Planning Award from the Association for Strategic Planning, TimeLine has received 54 Jeff Awards, including an award for Outstanding Production 11 times. Major corporate, government and foundation supporters of TimeLine Theatre include Alphawood Foundation, The Chicago Community Trust, The Crown Family, The Ensemble Studio Theatre/Alfred P. Sloan Foundation Science & Technology Project, Forum Fund, The Joseph and Bessie Feinberg Foundation, Lloyd A. Fry Foundation, Illinois Arts Council Agency, Laughing Acres Family Foundation, A.L. and Jennie L. Luria Foundation, MacArthur Fund for Arts and Culture at Prince, The Pauls Foundation, Polk Bros. Foundation, and The Shubert Foundation.